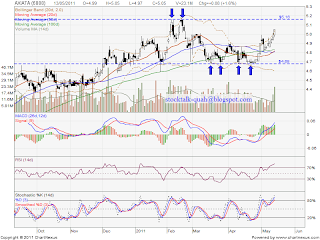 From the chart, AXIATA (6888) is continue uptrend. Added, Stochastic %K NO trigger sell call. 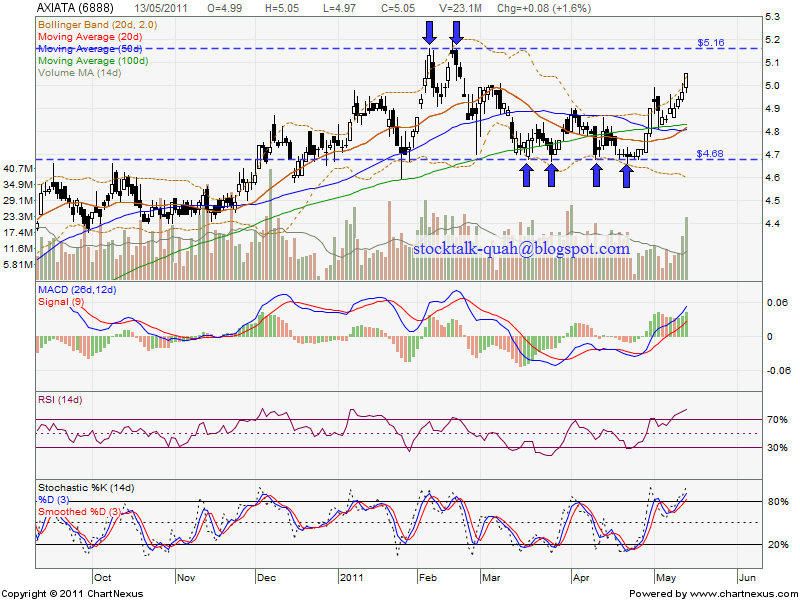 Next resistant should be RM5.16 level, it will retest this level soon. If retraced down, most probably will retest RM4.95 support level. Subsequent support would be RM4.90 level.